Hello winter! I love autumn season the most, you know (hehe), but December is the most special winter period, the most long-awaited month. Do you already feel the Christmas spirit? I want to shoot some special Christmas recipes for blog next week, so don’t forget to check them, my friends. 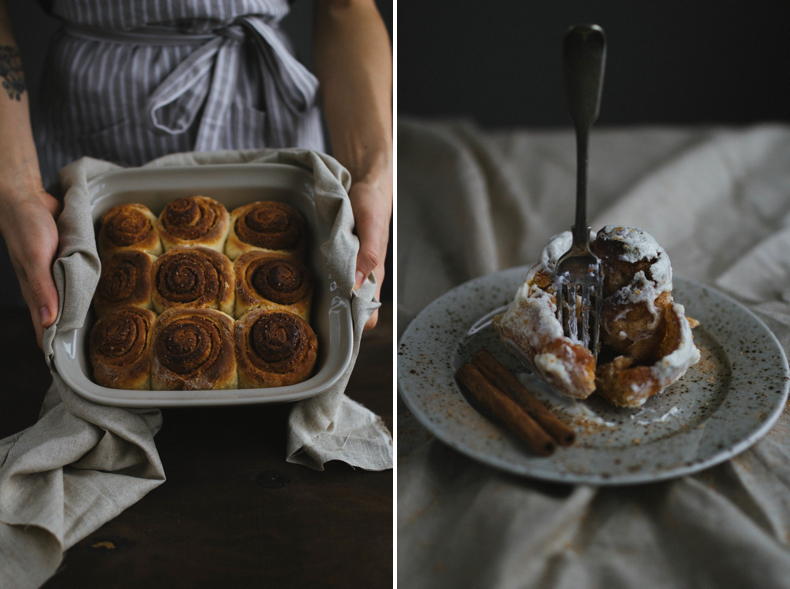 Today I want to share one very popular recipe with you, maybe the most popular – Cinnamon rolls. 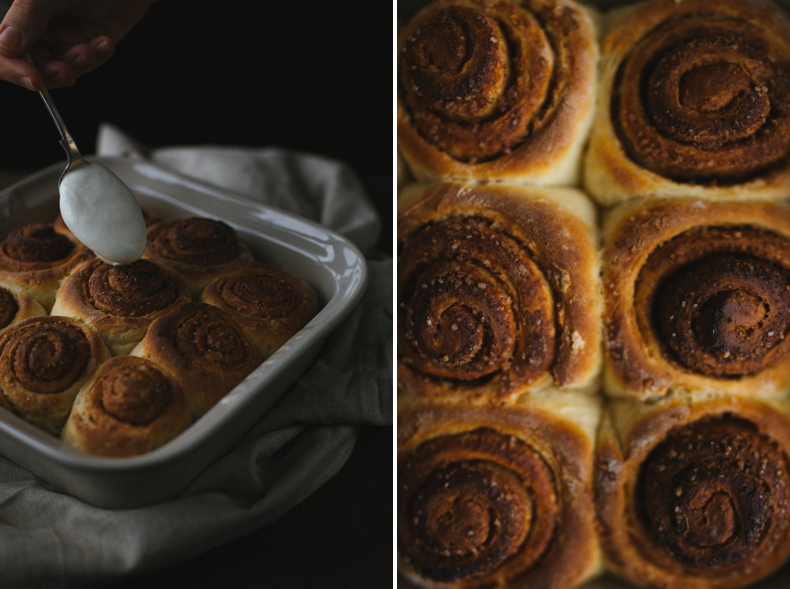 Oh man, these rolls are so amazing with their flavour, that I can’t stop to eat them (and this is the first and the only reason why I prepare cinnamon rolls not very often). So let’s cook! In the big cup mix dry yeast, sugar and 1/2 cup of warm milk. Set aside for about 15 minutes. In the large bowl mix sifted flour, salt. Melt the butter. Whisk egg with the remaining 1/2 cup of milk and water. Add melted butter, continuing to whisk. Combine all ingredients together (the flour + yeast mix + egg-butter mix). 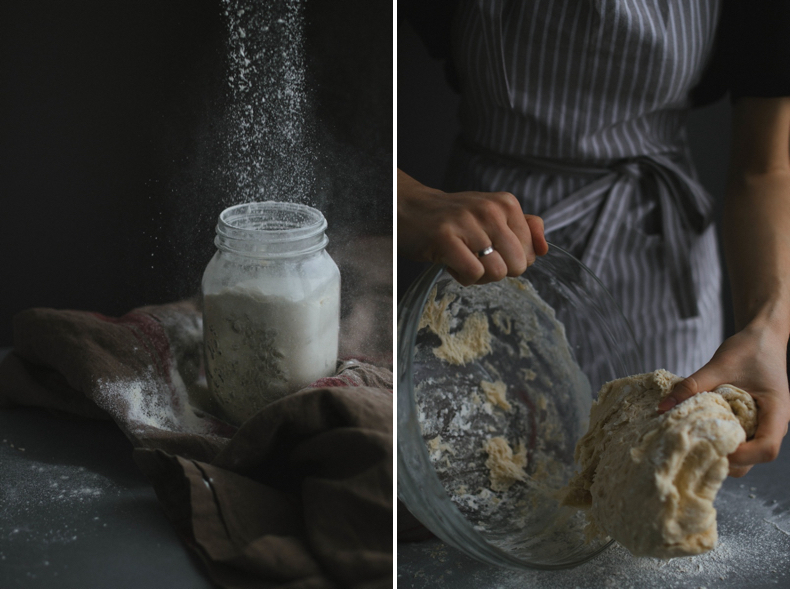 Knead the dough (few times is enough). Put in the big bowl and cover with clean towel. Leave it in a warm place to rise for 1.30 hours. 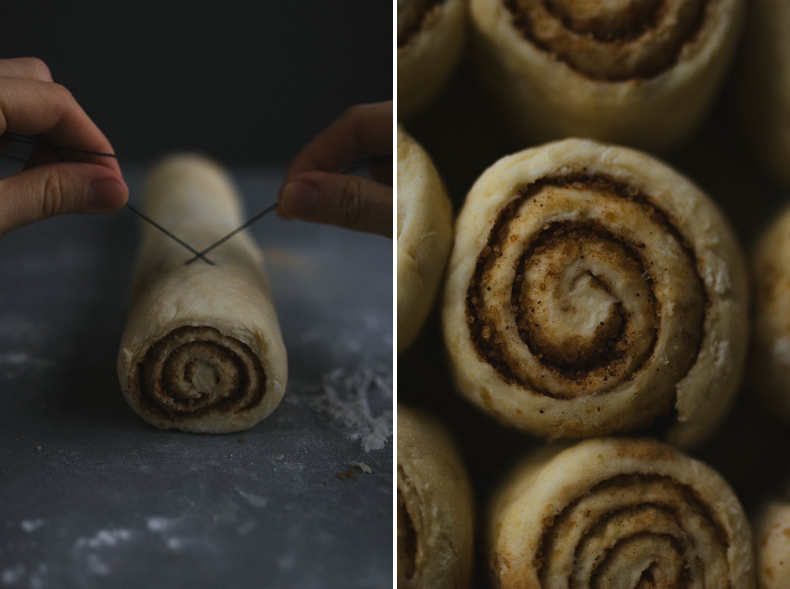 Meanwhile, prepare the cinnamon filling. 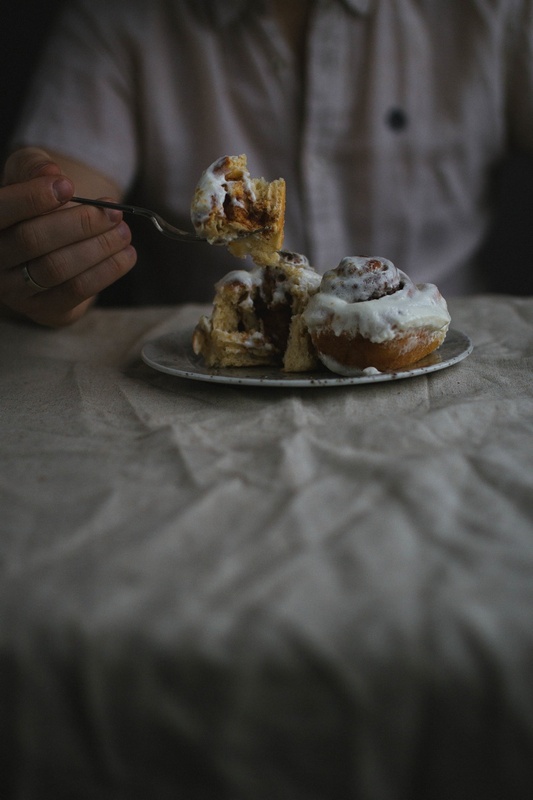 Mix sugar and powdered cinnamon. Knead the dough on the floured work surface until it’s not sticky. Roll out rectangle about 1 cm thick using rolling pin. 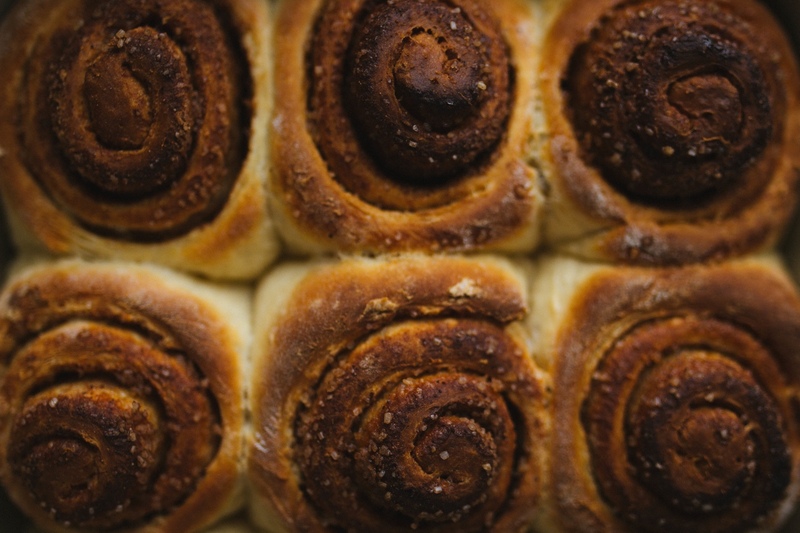 Grease the sheet of dough with melted butter and sprinkle with cinnamon mix. Roll out the dough beginning with wider edge. Cut it into pieces using knife or thread. 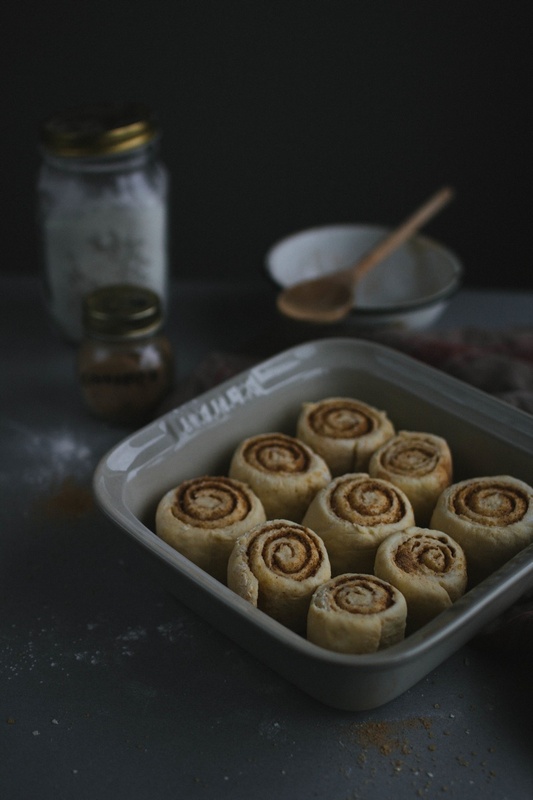 Place cinnamon rolls into the baking pan (I use 20×20 cm square pan) and set aside for about 40 min. The pieces would be oversized 1,5-2 times. Preheat oven to 180 degrees. Bake rolls for about 20 min until golden brown. 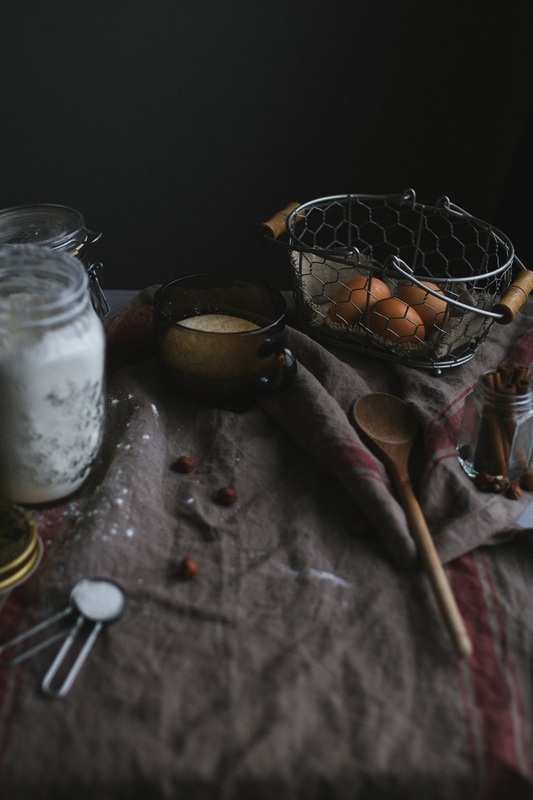 Whisk cream-cheese, sugar powder and milk together. Pour over the top of cinnamon rolls. 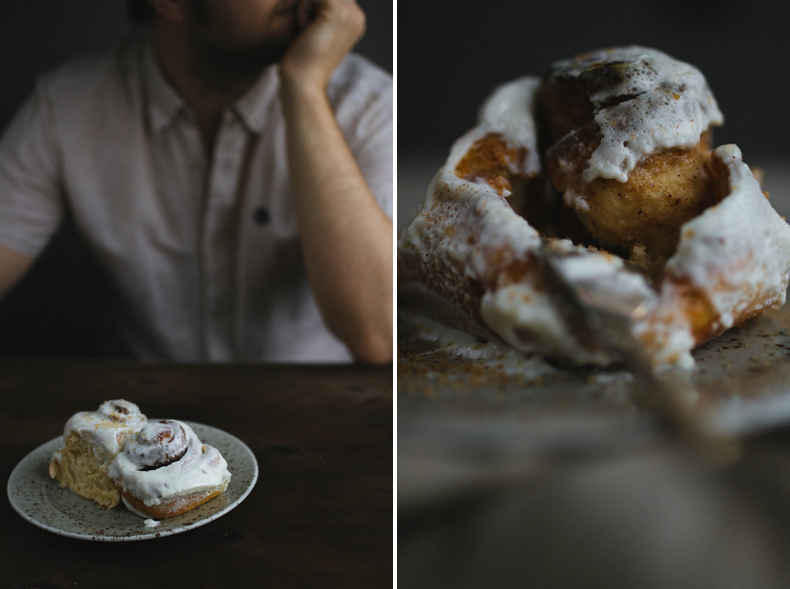 These cinnamon rolls become more delicious if you wait half an hour, until the glaze will be absorbed by them.